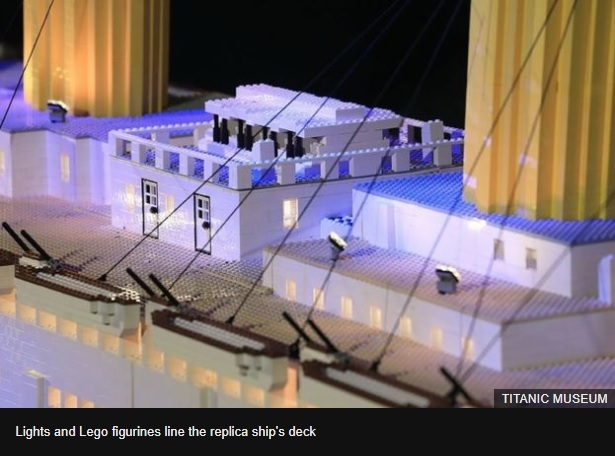 A 26ft-long (8m) Lego cube model of the Titanic built by an autistic boy from Iceland has been unveiled at a Tennessee museum. 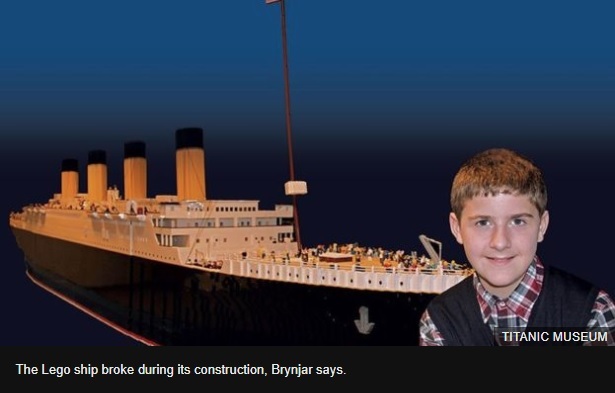 Brynjar Karl Birgisson, 15, used actual blueprints of the doomed ship to decide how many Lego bricks it would require. The massive model ship took him over 700 hours and more than 65,000 Lego bricks to assemble. Mr Birgisson says the model, which has travelled across Europe, helped him with his condition. "It took me over 11 months to build the model and 120 tubes of crazy glue were used in the process," the teenager told the museum in Pigeon Forge, Tennessee, where his model is being exhibited. "The whole journey has helped me out of my autistic fog," said Mr Birgisson, who built the ship when he was 10 years old. "I've trained myself to be 'as normal as possible', whatever normal means." After hearing about Mr Birgisson's project, Lego subsidised him with a discount on some of the bricks needed. He also raised the money necessary to purchase the bricks through donations from his family and friends. With the help of his grandfather, Mr Birgisson created a plan using the Titanic's original blueprints to determine the scale. 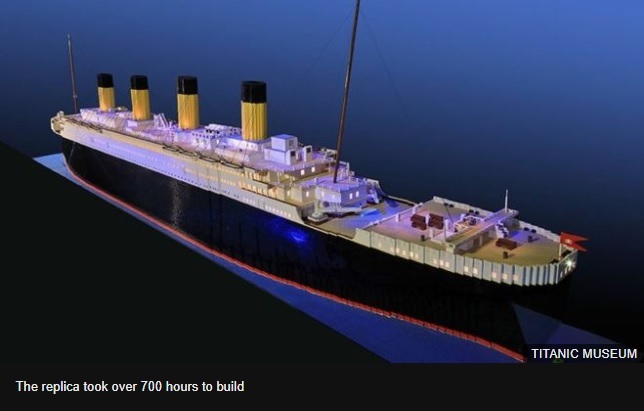 "I just had to build that amazing ship and there was not a doubt in my mind that I couldn't do it", Mr Birgisson said at a TED talk he gave in September 2016. "As the bricks went up and up and it began to rise, it became an obsession," he said. The teenager has spent the last five years touring with the replica in Norway, Sweden, and Germany and has given press interviews along the way. He told the museum he was painfully shy and rarely spoke when his project began. "I was totally unable to communicate when I started the project. Now I'm standing on stage and giving interviews." The toy ship has now arrived in Pigeon Forge, where it will be displayed at the Titanic Museum until 2020.